Home » Bollywood News » Salman Khan wants to remake Badmaash in Hindi. But he isn't the only one! Salman Khan recently said that he has not signed any films beyond Sultan, which is set to release in Eid this year. However, the actor has reportedly held talks with Sooraj Barjatya for an action film which is expected to be announced soon. The actor has also expressed a keen interest in remaking the upcoming Kannada film, Badmaash. 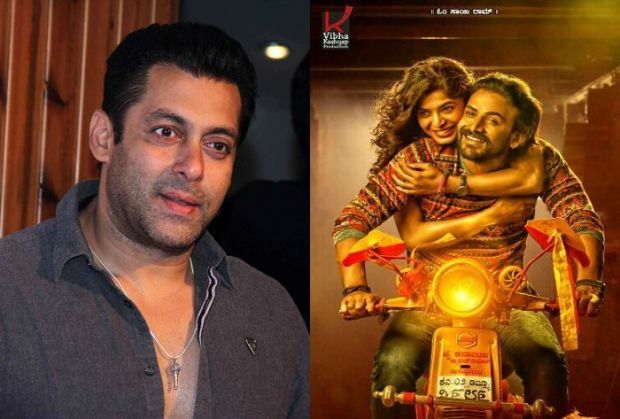 According to reports, he is currently working to gain the rights to remake the Dhananjay and Sanchita Shetty film in Hindi, under his home production, Salman Khan Films. Also Read: Prem the action hero? Are Salman Khan and Sooraj Barjatya working on action film? Badmaash director Akash Srivastava confirmed the remake in a recent interview with Filmibeat. "Yes, our producer is in talks with Salman Khan and the actor has shown interest in remaking our movie. He has liked the teaser and thus showed his special interest. But even before that, he will be watching the special screening of the movie soon". Also Read: Sultan: Why is Aamir Khan excited for the Salman Khan, Anushka Sharma film? Interestingly, Salman is not the only Bollywood who wants to remake the romantic Kannada thriller. Srivastava revealed that Randeep Hooda is keen to work on the film. "Even actor Randeep Hooda has shown interest to remake Badmaash. But for now, nothing has been confirmed about who will actually act in the Hindi remake".